Dozens of stolen phones have been recovered by police at an address in Whitley Bay. More than 30 phones were discovered after a phone tracker app helped police locate an iPhone which was reported stolen from the Foo Fighters concert in Sunderland on Monday. Officers received a report late on May 25, that an iPhone and purse had been stolen from an attendee at the concert. Within hours, using GPS tracking technology officers were able to locate the stolen items at an address in Whitley Bay, where they seized a further 30 stolen mobile phone devices. Detective Inspector Dave Swinburn said: “We urge everyone to protect their property from thieves. 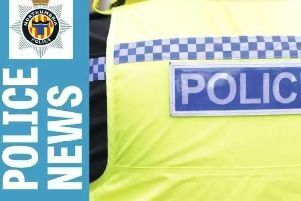 “We always advise concert-goers to be extra vigilant due to opportunistic thieves and encourage everyone to protect their property and make the most of GPS tracking systems. “A simple step like downloading an app can make the difference between losing the item forever or having it tracked, located and seized by police. “For those who don’t have such technology installed on their devices, I’d recommend they register their goods with Immobilise, the national property register. A 25-year-old woman has been arrested on suspicion of theft.